NGOs are covered under the term Voluntary Organizations (VOs). vas are an umbrella term comprising all sorts of organizations. which work for the welfare and development of the general p people, a particular segment of the society, members of .the cooperatives and professionals etc. The term ‘voluntary’ refers to action taken by the free will of the actor. Voluntary Organizations represent a different class of organizations that depend on energy and resources freely by their members and supporters without expecting any material gain but in Support of organizations’ mission and goals. One of the term, out of numerous terminologies, used for VOS is ‘Non-profit Organizations. According to The Johns Hopkins Non-profit sector project, they have an institutional presence and structure, arc institutionally separate from the state, do not return profits to their managers or directors or members, are fundamentally in control of their own affairs attract some level of voluntary contribution of time or money and also membership in them is not legally required. The voluntary organizations as a whole are, currently, termed as citizen sector; a subset of civil society. Non-Governmental Organizations in current term – a major segment of the citizen sector, are existed from the time immemorial in different forms and known by various names varying from region to region throughout South Asia, such as: Welfare Organizations, Voluntary Organizations, Missionary Organizations, Falahi Aidare, Jirga, Panchayat, Gushthi, Snnstha, Sangothon, Not for profit organizations etc. NGOs are also classified on the basis of levels and functions. The other segments of citizen sector are Grass Roots Organizations (GROs) and Support Organizations. However, the segments are overlapping up to some extent, hence the clear-cut boundary lines for each segment cannot be sketched. The segments identification and classifications are also dependent on their functions and levels. NGOs/VOs exist to satisfy those human needs, which are unfulfilled by other social, economic and political institutions. Business sector avoids operations in those areas where it suffers loss while public sector does not have access due to its financial limitations or other priorities like defense building, regional and international politics. However, NGOs in developing world are growing quickly in numbers and areas, but to a large extent, their potentials are still unutilized because of funding limitations, their own institutional weaknesses and governments’ skepticism towards the role of NGOs. NGOs are becoming more important players in rural development, poverty alleviatiol1 through their micro financing programs and they are playing important roles in policy advocacy and lobbying in the field or environment and developmental policy making in South Asia. CBOs/GROs, Intermediary NGOs and Support Organizations/International NGOs are the different levels of citizen sector. They have basically, the same agenda of helping the people to come out with self-sustainable socio-economic programmes with the difference of levels as they work. Hence, NC’,Os .It tl1eir own levels are playing important role in achieving their targets: Grass Roots Organizations and Intermediary NGOs are making numerous contributions to the sustainable development in South Asian region. They are mobilizing local people and resources to support projects with a motive to enable people to improve their quality of life, increase their own effectiveness so as to potentially influence national policy making, either through growth or building alliances. As a result people may link all the elements of sustainable development including ecology, economics, politics and culture, and enable individuals to cope with change. They are playing a role in upliftment of society in general and poorest of the poor in particular. Especially, the Intermediary NGOs have the agenda of providing help in resolving the economic and cultural differences among local people, by using their money and experience through GROs. They bridge the gap between local and technical knowledge in the efforts to find long-term solutions, which are widely accepted by target groups. In this way new approaches are being applied in solving problems and disseminating knowledge to other organizations through connecting them with local organizations by way of joining networks or building links with international organizations. International organizations offer new ideas to national and local NGOs and alert them toward ongoing ongoing international policy making. Hence, NGOs serve as international lobbyist to tackle the policies of governments, corporations and multilateral institutions. Indeed, NGOs in the developing countries are increasingly insistent that lobbying should be the primarily role of Northern NGOs. International NGOs also link up disconnected global communities, share similar problems and increase awareness of global issues, such as deforestation, loss of bio-diversity and global warning. The Voluntary Organizations all Non-Governmental Organizations are commonly termed as NGOs and Vas vice versa, but both the terms are very much generalized to fix the two labels on all the voluntary/non-profit organizations, A number of similar labels used to refer to such groups connote different types of voluntary organizations. So far at least 40 similar references are being used for the voluntary organizations. Although, specification for the terms used for VOs is not the matter of discussion, yet there is a need to throw light on The terms used for such organizations. Tile prefixes and suffixes are used to emphasize the difference between Voluntary organizations, action groups and governmental entities. The prefix; private, non-governmental, peoples etc are used to explain the nature of the VOs, Some of the examples are NGDOs: Non- Governmental Development Organizations, NGIs; Non Governmental Interests, NPOs: Non Profit Organizations, AGNs: Advocacy Groups & Networks, BINGOs: Big International NGOs, BONGOs: Business Organized NGOs, CBMs: Community Based Management System, CBOs: Community Based Organizations, DONOOs; Donor Organized NGOs, ENGOs; Environmental NGOs. GROs: Grass Roots Organizations, IAs; Interest Associations, IDCIs: International Development Cooperation Institutions, INGOs: International NGOs, IOs: International Organizations, IPOs: International Peoples’ Organizations, LDAs: Local Development Associations, LINGOs: Little NGOs, LOs: Local Organizations, NODOs: Non Governmental Development Organizations, NGOs: Non Governmental Organizations, NNGOs: Northern NGOs, PEOs: Popular Economic Organizations, PDAs; Popular Development Agencies, POs: Peoples’ Organizations. PSCs: Public Service Contractors, PSNPOs: Paid Staff Non Profit Organizations, PVDOs: Private Voluntary Development Organizations, PVOs: Private Votuntary Organizations, QUANGOs: Quasi NGOs, RWAs: Relief & Welfare Agencies, SHOs: Self Help Organizations, SHPOs: Self Help Support Organizations, SNGOs: Southern NGOs, TIOs: Technical Innovation Organizations, TNGOs: Trans-national NGOs, VDAs: Village Development Associations, VIs; Village Institutions, VNPOs: Voluntary Non Profit Organizations, VOs: Voluntary Organizations, etc of these terms Non Governmental Organization (NGO) is the most widely used and referred term the by donors, public officials and voluntary organizations’ leaders in discussing VOs in SAARC countries. Recently, the NGOs, CBOs and other Voluntary Organizations are termed as Civil Society Organizations (CSOs). In a joint circular, issued by The World Bank (WB), International Bank for Reconstruction and Development (IBRD) and International Development Association (IDA) under the title of “Funding Opportunity for Civil Society Organizations”, the civil society has been defined as “Civil Society include, inter alia, Organizations of farmers, producers, women, indigenous people, agricultural workers, landless privileged people, pastorals, forest users, fisher folk, including Community Based Organizations and Non-Governmental Organizations (NGOs), their representative bodies, networks and movements. L. David Brown and David C. Korten used the word Voluntary Organization instead of NGOs and they presented the sector differences as shown in table 3.2, as government, commercial and voluntary, which have distinctive and complementary meaningful characteristics. The third sector has been variously called the non-profit, peoples, voluntary, NGOs or citizen sector. This sector comprises all the institutions in society that are voluntary, not for profit, for public benefit and are independent. It persuades people for a shared vision about the world. The Intermediary NGOs are a subset of citizen sector, which operates within the sectoral space of GROs and Support Organizations. It can also be said that citizen sector is a whole of Voluntary Organizations while intermediary NGOs are the segment of this sector. The above typologies may not necessarily be ideal characterization, but it is evident that the cooperatives and membership organizations are part of citizen sector. The above characterization of citizen sector cannot be termed as ideal one because the voluntary sectors’ typologies are numerous, however, these typologies can be headed under the citizen sector. These all types of voluntary organizations have one common character that they are non-governmental. Hence, this character is dominant over the other character and features. On the contrary, Norman Uphof School of Thought is of the view that the dividing society in three sectors and labeling voluntary sector as third sector is misleading, because the real third sector is located somewhere in between the public and the private sectors in institutional space and does not belong to NGOs rather to people’s association and membership organizations. He further argues that the society breaks up mainly into two sectors, the public and private sectors. Here, public is state or government while the private sector further breaks up into Private Organizations (Business, Commercial Organizations, Profit oriented) and Voluntary Organizations (Non-profit, NGOS). Hence, according to this school of Thought, the voluntary sector is a branch of private sector, which is a second sector of society and not third sector, This view is popular among the Management academicians but has very limited acceptability among the NGOs’ executives and activists. A narrower conception of what constitutes all NGO is intended which discriminates according to the members’ inotivation for participating in the group. Those groups whose members act for atruistic reasons to help the poor and destitute, with no expectation of temporal remuneration are universally considered to be NGOs. NGOs, whose members act out of a sense of cooperative self-interest, as in cooperatives, are also NGOs. Similarly. policy pressure groups such as protecting the environment or advocating women’s thoughts are NGOs. Labor groups and labor union-like groups present special problems, as do pressure groups seeking to influence public opinion and policy as in the case of an organization composed of landless laborers, it is an NGO. If members have nothing in common beyond their shared employment by a particular firm or type of firm, the organization is more properly viewed as a labor union and is not all NGO. Likewise, not all pressure groups seeking to influence public policy are NGOs. Similarly, political parties and quasi-political groups involved in electoral politics are not NGOs because they exist solely to compete against similar groups for political power. This attempt to elucidate the general thinking about NGOs does riot preclude a single group evolving overtime and crossing some of the boundaries, just described nor it is impossible that an organization might simultaneously exhibit characteristics of both an NGO and non-NGO. In nutshell, Non-Governmental Organization is a voluntary, accountable, non-profit, non-political structure organization of people involving a community and official voluntarily elected leadership. They further explain – These organizations are primarily motivated by the desire to actualize a particular social vision and operate in the realm of civil society through the shared values of their patrons, members and clients (Brown & Korten 1991). The above definitions do not support the views of Norn,an Uphoff that the membership organizations and People’s Association are different from Non-Governmental Organizations. As Thomas F. Carroll writes in his ,book ‘The Supporting Link in Grass Roots Development’ while discussing ‘terms and definitions, the Grass Roots Organizations and Membership Organizations are the two subsets or the broad spectrum of NGOS. He further explained; “A Membership Organization (MSO) provides service and linkages to local groups. However, an MSO represents and is accountable to its base membership, at least in principle For example, a primary or base-level membership organization is a local cooperative or labor union”. So the above definitions and comments over the topic refer that the society consists of three sectors and these are Public, Private and Citizen Sector. The Citizen Sector is often used interchangeably with ‘Non-profit’ or ‘Third Sector’. In all the three cases, there are distinctions between organizations in this sector, and those belonging to government and private sectors. The basic premise of the organizations in the Third Sector is that they arc organized, i.e institutionalized to some extent, private i.e separate from the government, independent, not for profit, and voluntary. It is widely felt that the term citizen’s organizations best express the identity, conception and makeup of these organizations and are gaining acceptance throughout the world. In South Asian context, it is generally called the NGO sector. There is also widespread usage of the terms: NGOs, GSOs, MSOs. The three sectors have distinct characteristics, natures and features. In the ordinary literal sense, the term Non-Governmental Organization includes all types of organizations and institutions, which are formed by personal initiatives to achieve various goals, which may be similar or different from those of governments. It may include welfare, development institutions/organizations like saving and credit groups, non-profit educational institutes, universities, research societies, sports clubs or youth organizations. More specifically, NGO refers to an organization which is non-governmental, consists of a group of volunteers and serves the whole society/community or part of it. But the researchers consider an NGO more than these. There may be debate over ‘what covers NGOs?’ but it cannot be denied that despite it the Non-Governmental status is necessary and not sufficient to identify a group as NGO. Non-Governmental Organizations (NGOs) are neither governmental organizations nor they exist as profit enterprises. The NGOs work as indigenous institutes outside the public administration of the country. These NGOs contribute to development research, program preparation and service delivery at the intermediate and local levels. The NGOs include a variety of agencies and institutions such as cooperatives, professional and special interest organizations, service and social clubs, research institutions and charitable trust, religious and neighborhood groups throughout the country. They range from modem to traditional groups and from local to imported forms of organizations. Non-Governmental Organizations actualize social visions, are clan consensus and their coordination mechanism is the shared values, while enforcement mechanism is guided by moral obligations and professional ethics. The classic examples of NGOs are church Punchayat and Missionary groups. In South Asia, the general perception about the sector as a whole is negative with exception to the area where it has greater impact. People see the whole activities with skepticism. It is generally taken as; the NGOs are heavily foreign funded projects, and there are some hidden agenda of the donor organizations/western world behind these funding in the name of social work and development. However, the acceptability is increasing but slowly. The smallness of the organizations in comparison of the problems they encounter and the life style of the NGO people as compared to the community as well as beneficiaries, have emitted the impressions to the general people that these organizations are of the elites, by the western donors and for the limited benefit to the people. The nature of NGOs are the ref1ections of the rive basic characteristics such as: (a) Non-Governmental, (b) Voluntary, (c) Non Commercial. (d) Accountable, (e) Non Political. Non-governmental refers to the organizations which exist out of the influence of government at least in their operations and functions. This is a dominant and the strongest characteristic of an NGO, which means that an NGO is or aspires to be, what governments are not – it is not rigid, not bureaucratic, not slow, and not distant from the people they work with. 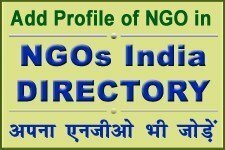 An NGO, as is evident by its name works out of the influence of government in its vision, mission, planning and programs. An NGO can work in collaboration with government but cannot be the representative of government. It can extend and get support for particular purpose or project but, again, the NGO is not supposed to become part of Government in any program’s operation. Everywhere in the world, the civil society is supporting constructive efforts of government and deploring the harmful projects of state along with alternate plan for the sake of welfare of living and nonliving creatures. An NGO, which becomes the part or the government cannot play independent role of advocacy & lobbying effectively and thus negates the basic nature or an NGO. Voluntary refers to making contribution or individual or groups towards achieving the goal set by themselves without getting monetary benefits or material gain. An NGO is different from any other kind of organization. The other main kinds of formal organizations are business, political and government, In fact, NGOs are meant to avoid all the main things known worldwide to cause the biggest problems; money, power and politics. The NGOs must depend heavily on volunteerism: What money an NGO raise is meant to go for filling of the NGO’s objectives, for example, helping the poor. People who work for no money or salary prove that they care about doing good more than getting any personal benefit. When many people work together for no benefit otherwise, they are given a special kind of respect. Volunteerism as basic requirement means that an organization, which does not have significance on volunteerism, is not really an NGO. It is another job of all NGOs to teach people about volunteerism and to lead them to serve. In a country where NGOs are new, it is other job of all NGOs to leach the people what they should not expect from an NGO. Voluntary also means that the NGO is not something forced or required to exist. NGOs exist because people want them. NGOs al e also not obliged, or in certain cases, allowed to carry out certain activities which are governments’ responsibilities. Volunteers works of all kinds keep NGOs and the countries self-reliant and independent, free from unsuitable influences. The term ‘non-commercial’ refers to the act of involvement of individual, groups or organizations in any activity, which is not directed towards profit earning for self. On the contrary, peoples involvement in those activities, which are run, is on no profit-no loss basis. This is another important characteristic of NGOs that they are non-profitable and accountable. Business organizations exist to make money and Governments are also allowed to make profit. But an NGO cannot exist for the purpose of making money and profit. However. it does not mean that NGOs cannot earn money, rather the only restriction is that any profit they make must be put to fill the objectives of the NGOs, but not put into the pockets of the people in the NGO. NGOs’ ideas about money are the main things that determine what the people think of NGO. If it looks richer than the people it serves, people believe it is operating in self-interest. Therefore, it is not trusted. NGOs, by their humanitarian work and volunteerism keep cost far lower than government or business sectors and hence those are respected worldwide. The term ‘accountability’ refers to a check over the organization by its stakeholders. 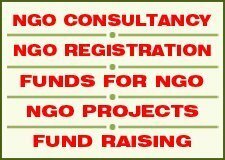 Generally, the stakeholders of an NGO are the beneficiaries, donor/funding agency, partners, government, community and society in which it operates. ‘Accountability’ means the willingness and ability to explain and prove what one is doing or has done. At the same time, it also means to explain why certain things were not done. The purpose of accountability is ‘0’ make NGOs honest. In many countries, laws force NGOs to be accountable to members, the community, the government and public. If you want support to continue people want to know what have you done with their support so far. This is what makes a base of support and members so important for an NGO. 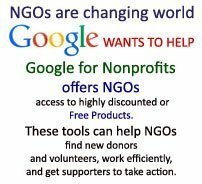 Knowing that there are the people to whom an NGO is accountable, reassures outsiders that they are not alone to check the NGO. If a community and members clearly support the NGO, then judgment gives the authorities a positive opinion of the NGO, Each country has specific minimum legal requirements for the ways NGOs must be accountable. The structure of NGO is designed to give as many checks and balances as possible to keep it accountable. NGOs are required to offer account publicly, at least, once a year, if an NGO fails to do so the government can closet the NGO. However. NGOs in the north usually go far beyond this government requirement. As good management and public relation . practices, they provide much more information than the legal requirements, and so more often, in additional ways than government requires. They know that explaining themselves in detail to their pub lie is mainly to their own advantage, thus it builds trust. An NGO cannot survive without trust, respect and support from the public. A very important aspect of NGOs accountability is that members own expect from each other that the things are being done nicely. Non-political connotes that the NGOs arc not supposed to be party in disguise of social work or openly involve in the power game of individual, clan dominance and state politics, An NGO is supposed to be apolitical. Western countries have very strict laws forbidding NGOs to have any connection with political parties. They cannot help or represent any political figures or take help from !hem. For disobeying these laws, punishments can be severe, even prison term for guilty NGOs’ officials. In those countries, of course, individuals are free to what they want in practice, but people who are staff or volunteers for an NGO must always be more careful not to have their personal political activities mistaken for the political activities or the NGO. At a certain point ‘Political’ gets extremely hard to define. In the west, NGOs very often must deal with political officials and opposition parties. It is often necessary to do this to meet the objectives. Some NGOs feel that it is a humanitarian obligation to be political, especially to express opinion publicly on government, but trying to influence politics, holding meetings with figures for decision of mutual interest and pressing parties and government to make better policies, is quite different. CBNGOs include, Indigenous Community Groups, Village Level Clubs, Induced Community Groups, Mass Organizations. Local and National Religious Organizations, Local and National Trade Organizations. CBNGOs work at the grass roots level. concentrate on welfare activities and remain active for the welfare of the local communities. They are said to be first generation or NGOs. David Korten quoted in Smillie for JUCN 1992 as; “The front line of NGOs active in local development often spontaneously-fronted community group; with the energy and ‘motivation both for real change in the conditions under which the poor live in both , urban and rural areas and for giving the poor a voice and access to public resources in setting, where they have traditionally been isolated from power.” Of course, these organizations arc small and fragile which seems vulnerable to external influences and temptations. But CBOs are a set of building blocks for civil society. CBNGOs are the groups of beneficiaries who organize themselves on a self-help basis. Intermediary NGOs are also known as midlevel NGOs or simply NGOs. These organizations remain ‘service delivery organizations’ focusing on health care, family planning, education, environment, water and sanitation. 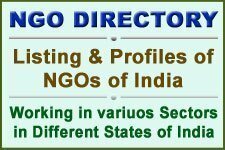 Mostly Intermediary NGOs are local philanthtropic organizations, national private philanthropic organizations, nationul public philanthropic organizations. hometown organizations. and humanitarian organizations. These are the support organizations to grass roots organizations, and not necessarily they support with funds but provide technical support in their program extensions. Intermediary NGOs are linked with the donors and CBOs/GROs simultaneously. Most or them are dependent on external donors funding and on self-generated funds. They undertake the programs of capacity building, training and financial management of CBOs/GROs. They are generally run by the group of volunteers by forming Executive Committee/Managing Committee Board or Directors or General Body as apex body through the paid staffs. The Intermediary NGOs have well-defined organizational structure, use management tools up to some extent, have paid staffs in significant numbers depending on size and functions and avail the services or professionals as permanent employees or consultants. They also rely on volunteers for the support of project on community level. UN agencies include all the donor agencies having UN mandate. These organizations include all non-UN international organizations and representative organizations of foreign governments. These can be the projects, funding concerns, or implementation agencies. They may be donating expertise, equipment, materials, money, advice and/or implement themselves. This definition includes all the organizations with offers in regional countries as well as those which fund regional/local NGOs directly from foreign land. These should include all structures through which funds are supplied for philanthropic and development purposes. In this category the Local Foundations and Trusts set aside funds within their businesses or collect from other sources for the use of philanthropic purposes. Mostly these are registered with the competent registering authorities in the countries where they operate, such as Foundation or Trust Act. By functions, NGOs exist to support, exchange. promote the religion, education, research, sports, the arts, peace and justice, human rights, social work, relief and development, professional development. health, environment etc. These NGOs by scope exist on community, regional, provincial, national and international level. Like other sectors, the NGOs are not exceptional in having strengths along weaknesses. Some very obvious strengths and weaknesses are being discussed here. NGO have special ability to react the poor and other segments of society overlooked by public and commercial sectors. NGOs facilitate local resource mobilization and have programs of local participation in development. Service delivery at low cost and innovative solutions to novel problems are their strengths. The biggest strength of these organizations is the openness in thought. They are said to be the learning organizations, their capacity grows from small size with administrative f1exibility and relalivey more freedom from political constraints. Duc to the small size and budget, they lack in technical capacity, because the highly trained technical and professional people do not find much attraction for career jobs in this sector. The NGOs have limited ability to scale lip successful projects to achieving regional or national impact, This ‘s due to their small size and resources that there are unscientific administrative system, intensive focus on a few committees, the difficulties in maintaining their essential value consensus soon as the staff expands, interaction to developing real efficiency and expertise in a well defined technologieal environment, and even living with their own commitments to their initial beneficiary populations. NGOs ignore the larger context in which they operate rather focus on the micro level, and fail to recognize the extent to which the committees they serve are part of systems, thus strongly being influenced by other external factors. Government Organizations (GOs) refer to the Stale machinery or institutions. Broadly speaking, State has three branches: Legislative, Judiciary and Executive. The GOs fall under the Executive branch and generally termed as public sector. They work under the subordination of Legislative branches. These organizations are five types, in South Asian context such as, secretariats, attached bodies, statutory commissions, field offices and discretionary committees. The Government Organizations, which involve in commercial activities, are known as public enterprises and covered under attached offices. COs are profit-oriented organizations. The commercial/business organizations are the private property of individual or group of people. COs have well defined but flexible management system. Up to large extent, they are non-bureaucratic. The COs have been classified in three types of organizations: sole proprietorship, partnership and private corporations. The scope of organizations varies from local, regional, national to international levels. These organizations exist to earn money and they operate where they can earn money. The core principles on which they operate are profit and loss, whereas social prosperity is the secondary or tertiary consideration for them. They produce goods and services. Their coordination mechanism revolves around negotiation and exchange. The enforcement mechanism is guided by contract and reciprocity norms. The classical examples of COs are private business organizations, cooperatives, are also NGOs. Similarly, policy pressure groups such as protecting the environment or advocating women’s thoughts are NGOs. Labor groups and labor union like groups present special problems, as do pressure groups seeking to influence public opinion and policy as in the case of an organization composed of landless laborers, it is an NGO. If members have nothing in common beyond their shared employment by a particular firm or type of firm, the organization is more properly viewed as a labor union and is not all NGO. Likewise, not all pressure groups seeking to influence public policy are NGOs, Similarly, political parties and quasi-political groups involved in electoral politics are not NGOs because they exist solely to compete against similar groups for political power.